FREE Batteries and Labels, 1¢ Composition Books, & More! Home / Deals / Back To School Deals / FREE Batteries and Labels, 1¢ Composition Books, & More! The new Office Max Back to School Deals are ready for you to view that start this Sunday, 8/18 and I wanted to quickly point out some of my favorite deals this week! I LOVE the Free after MaxPerks Deals and the $0.01 Notebooks! 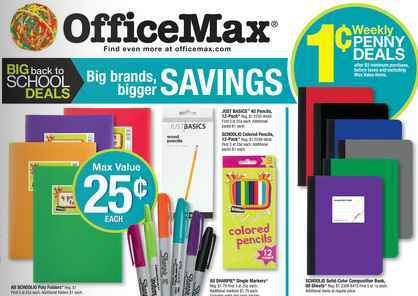 You can check out all of the Office Max Back to School Deals Here. 1¢ Folders and Rulers & More!